Breathe in the pure air of the Great Plains and admire the mysterious misty view over the rolling fields. The background scene transports you to dawn, as the sun is just starting to ascend into the sky. This is the best time of day to catch sight of the majestic creatures who call the plains their homes, such as the graceful eagle, the powerful wolf, and the mighty bear. Have a taste of adventure as you play video slots like this! Themed around Native American culture, a respect for Mother Earth is injected into every aspect of this slot. In addition to the stunning mountain background and beautiful animal symbols, expect to see dream catchers, medallions, and tools made from natural materials featured on the reels. You will be joined by two tribal leaders – the spirit woman who can put you in touch with the power of the ancestral spirits, and the mighty warrior who will help defend you on your quest! Since their inception in 1997 Eyecon have built a reputation for excellence. They consistently feature in annual rankings of the Top 10 Games, and their most successful slot to date is the highly popular Fluffy Favourites game, released in 2006. 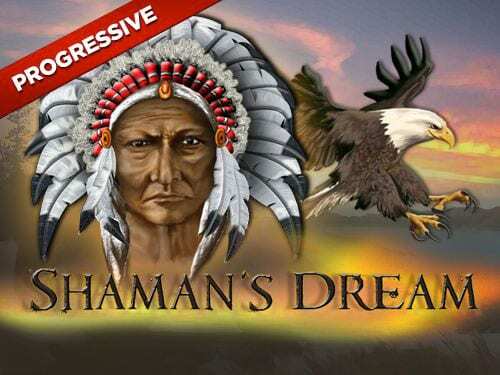 Though this has earnt them a stereotype for cute, cartoon-like graphics, Shaman’s Dream offers something a bit more sophisticated. 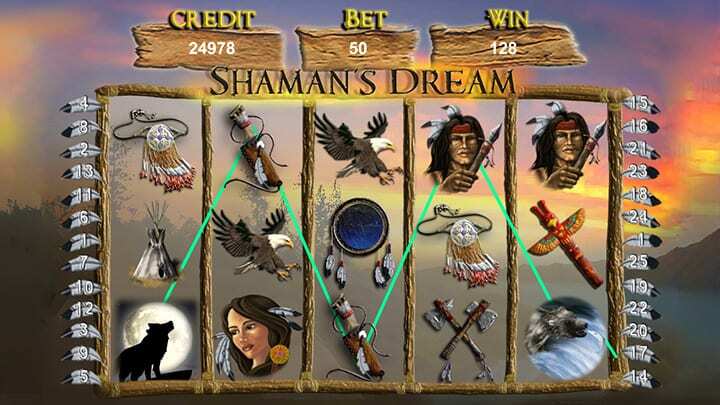 The Shaman's Dream Jackpot developer consistently delivers brilliant games here on WS, made available to you 24/7. If you enjoy playing this game, try the sequel – Shaman's Spirit! This is a 5 reel 25 payline slot. Players can bet between 0.01 and 0.50 coins per line, meaning a maximum total bet of 12.50. We provided a guide to both regular and new players choosing the best slots to play, visit and find out more. The highest paying symbol is the majestic wolf – if you are lucky enough to spot a pack of 5 lined up and ready to pounce, you will be rewarded with 9500x your line bet! The wolf is also the Wild symbol in this slot, meaning he will substitute into other combinations to help you get more wins. What is more, for every winning combination he is part of, he will double your winnings! The magical Dream Catcher acts as the Scatter symbol in this game. If you see 2, 3, 4, or 5 of these on screen at any time you will win yourself between 2 and 450x your total stake! Free games are also attached to this symbol, and during these free spins, any winnings will be tripled! 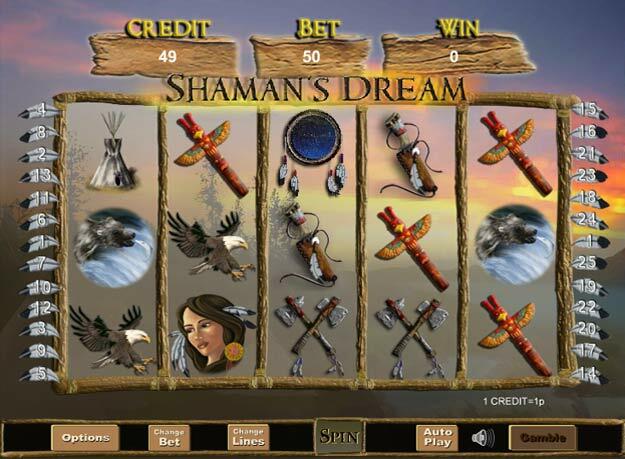 There are three progressive jackpots in this game which will be triggered at random during the main game. The Mega jackpot has a limit of £15,000, the Maxi has a limit of £3,500, and the Mini will pay out before it reaches £750. I love the epic design of this slot, with the majestic mountains and beautiful wildlife taking centre stage. Drawing on the rich culture of the Native Americans for inspiration has provided a unique and inspiring theme.